Calendars are a part of our daily lives which we surely cannot avoid. Calendar designs should be very appealing and catchy to the human eyes which always has a very lasting effect on the person who sees. 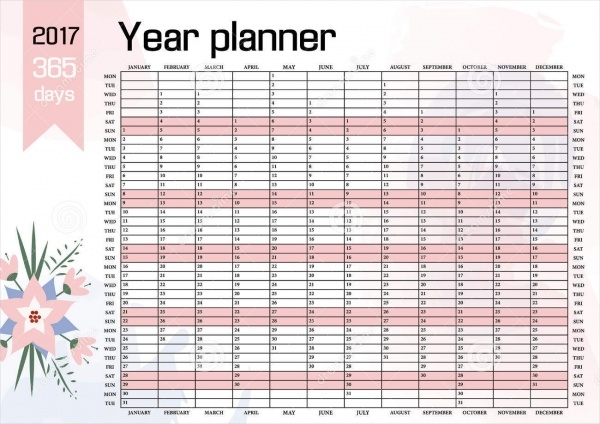 Some of the templates given in the following draft give an overview of the Free Calendar Designs that one can choose from and have them hanged down the walls of their own houses. Following are some amazing calendar designs. 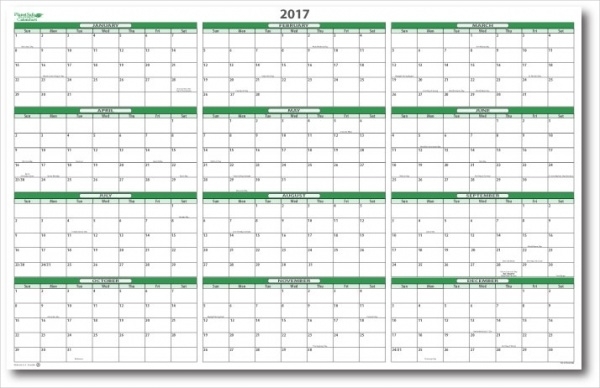 Printable year calendars are the one of the calendar template 2017 wherein the calendar may be explicitly designed for corporate houses and often give a very formal sort of look and feel to it. This is available in all formats. 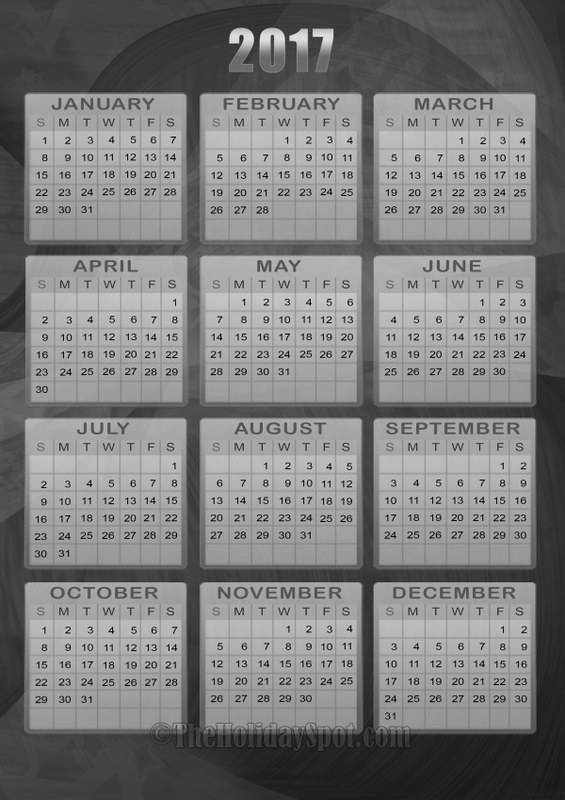 You may also see Monthly Calendar Designs. 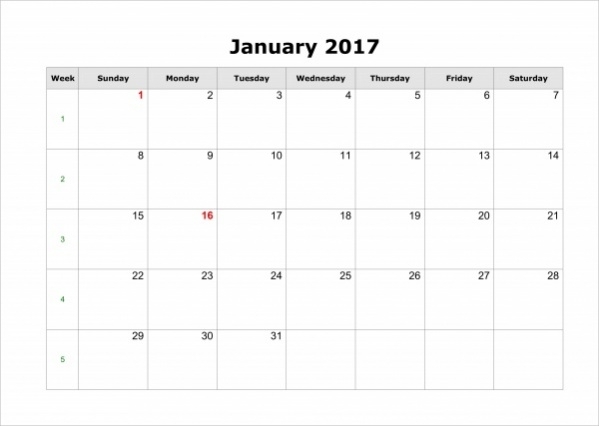 Blank Yearly Calendars may be downloaded that contains the week number as well . Have a more detailed look to it . It contains the weekly and yearly holidays in the side and can be available in PDF, JPG formats. 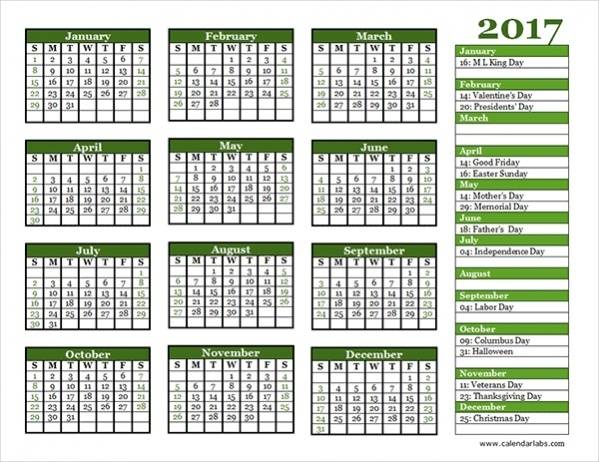 Annual calendar designs contain the 3 months slots on one page and that shows the details of all the annual holidays listed in a vertical order showing each specifically. Shows the calendar in open office, jpg, PDF and Microsoft word formats. Blue background surely fulfills the needs of those who want to hang their calendars in their homes or in a casual environment to be precise. Have all these holidays featured on the blue background. These are available in PDF, JPG formats. 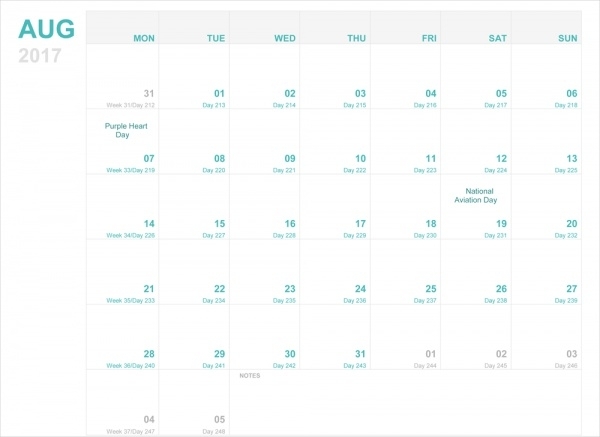 The editable yearly calendar includes the domestic time and date for a particular region. It contains the national holiday list of the country. It is available in limited formats as JPG and Microsoft Word. 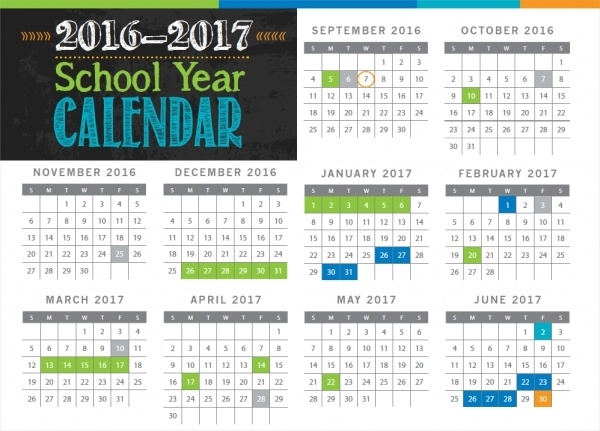 School year calendar is specially designed for the school kids and the school officials. It has a list of all the holidays that are assigned as per the school norms and for all the pupils and teachers to follow. It has JPG, PDF formats available. Yearly events calendars have a concise content that shows the holidays and lists available in the whole year that needs to be mentioned. Also, these are used in the office departments and are present in JPG, PDF formats. Monthly calendars are very effectively made and drafted that helps to assign a properly detailed view of the whole month and lists the holidays available in that particular month only. These are available in formats such as JPG, PDF etc. 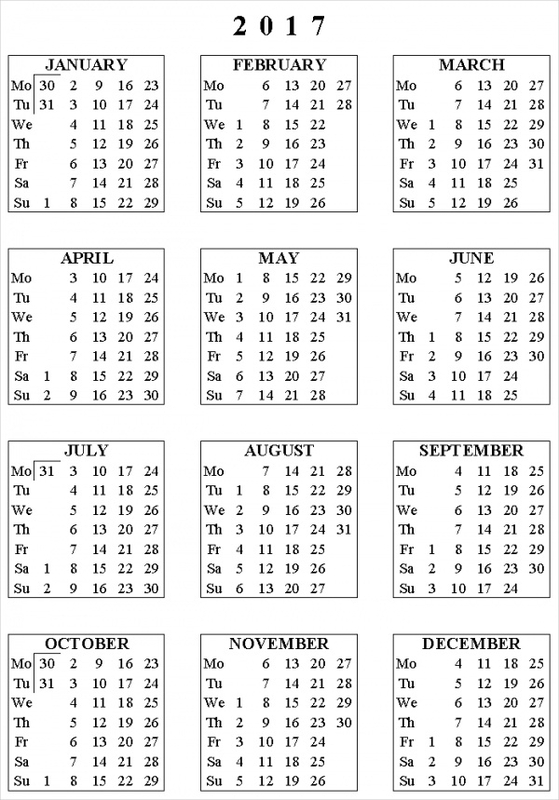 These are a kind of calendar that are specifically made for walls and are pertaining to the academic of the kind. These are more common in USA and Canada in the institutions there and have all the formats available as JPG, PDF etc. 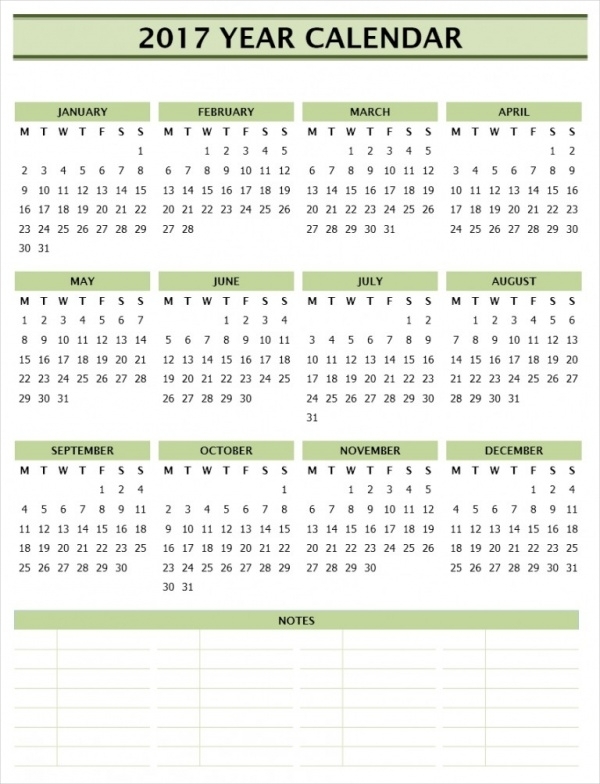 These are a special kind of calendar that is specifically made for students and kids to have a portable calendar nearby them so that they are able to manage their schedule well. These formats are bound to MS word and excel only. 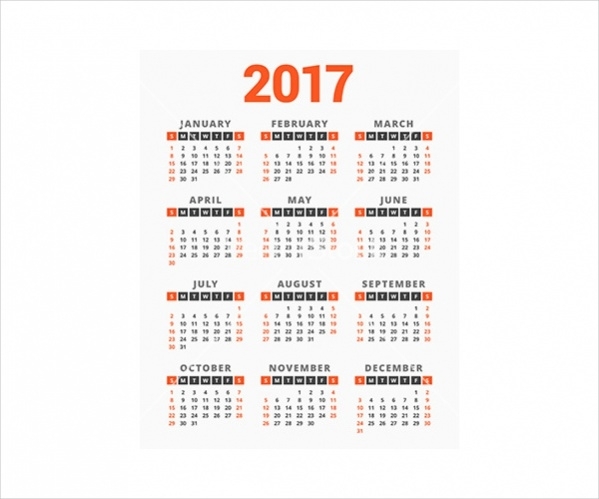 yearly calendars are the one of the calendar template 2017 in which the calendar may be designed for corporate houses and often give a very formal sort of look and feel to it. This is available in all formats. 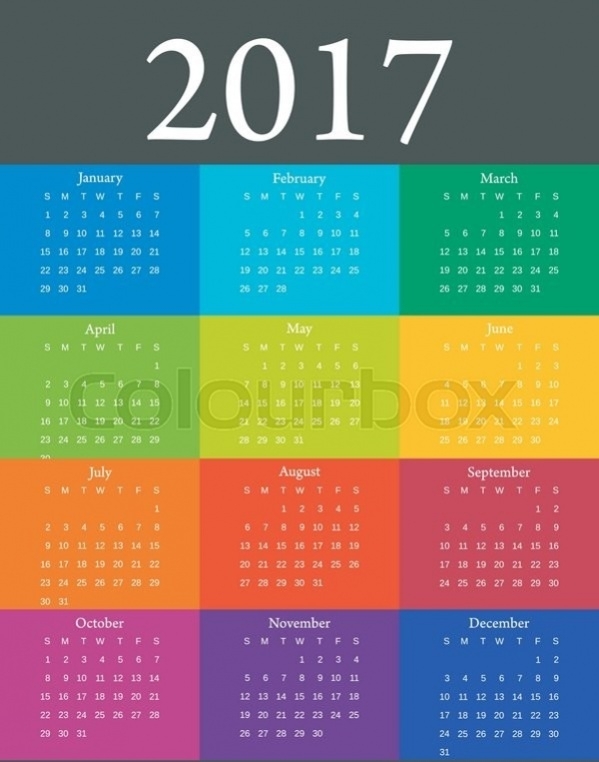 These kind of calendars are the ones in which there is a different combination of color blocks that are used, somewhat a foreground and background kind of combinations. These have several formats available as JPG, PDF, Microsoft word etc. 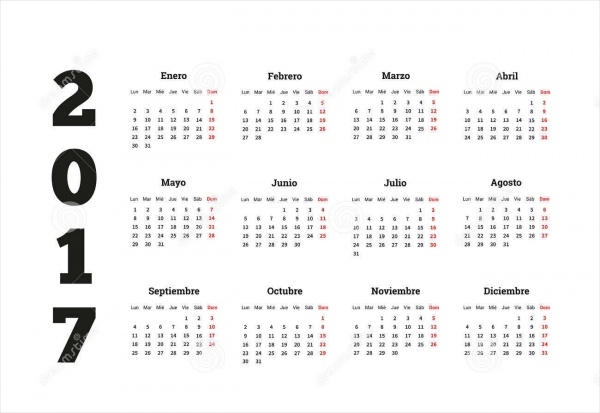 How to use these elegant “Yearly Calendar Designs”? 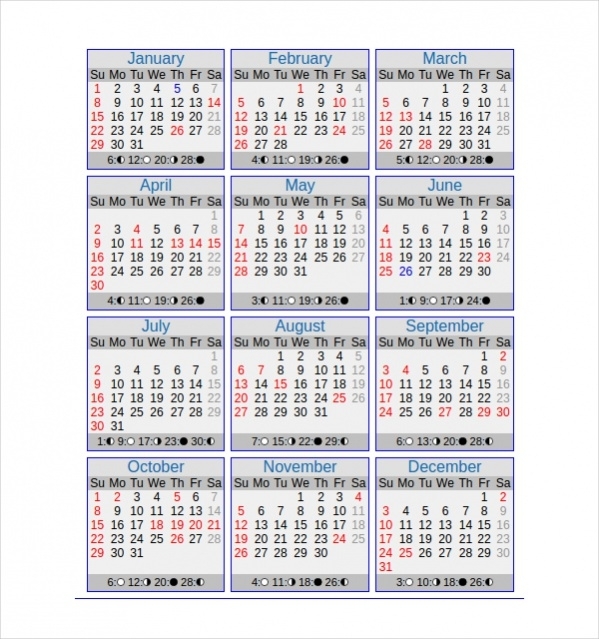 These yearly calendar designs can be used very specifically to the needs and demands of the organization where the calendars have to be put up. 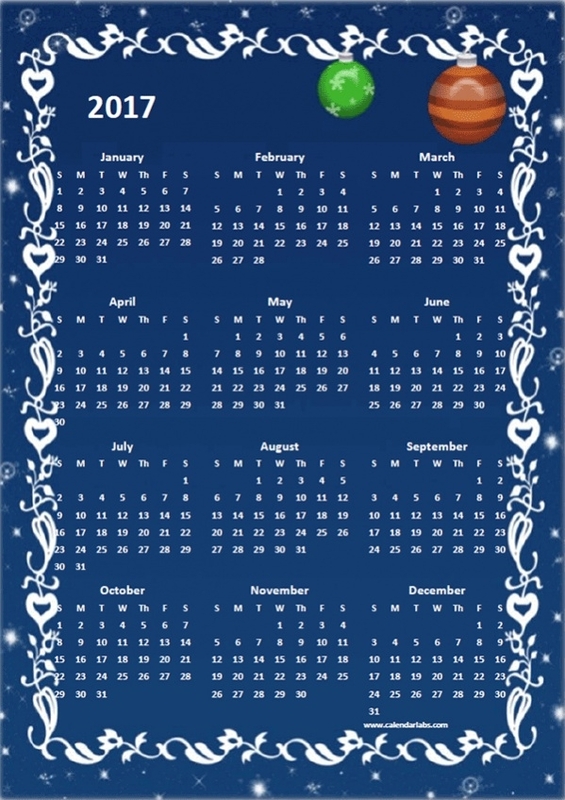 Different calendars have different templates and types that are pointed out to various places, societies and kind of people and their needs for the calendars. Calendar designs are very nicely carved out and hence can be very well taken into account how these designs can be made in general. Types like yearly calendars, pocket calendars, and the portable calendars are very uncommon and are specially made to cater to the orders laid down by any specific organizations or companies. You may also see Wall Calendars. 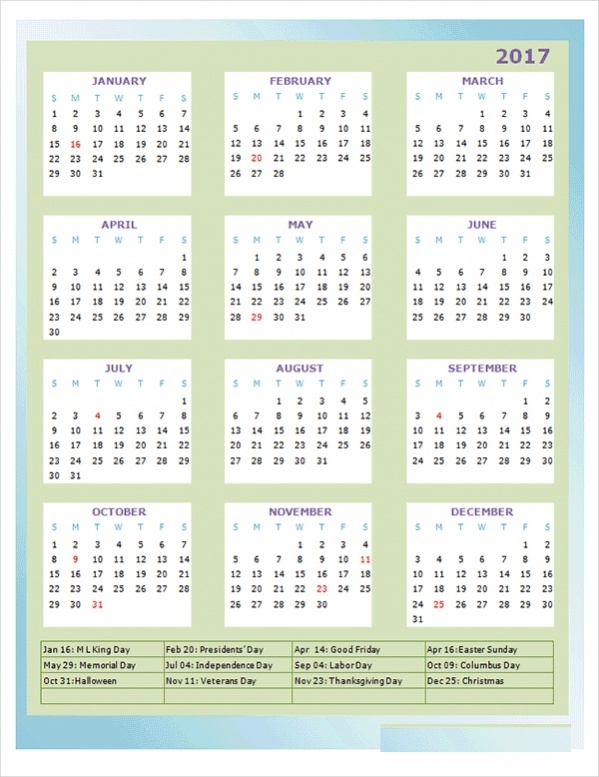 On concluding, these calendar designs form a part of effective design categories and have accessibility to almost all the available formats such as JPG, PDF, and open office documents, hence these increase the usability of the calendars and promotes the usage of calendars in an effective and east to use way.